+ check out the exclusive HoC Spotify playlist! When we found out about a new-ish music festival boasting mainstay headliners like The Flaming Lips, Cold War Kids, Kevin Garrett, and The Drums, we had to find out who the masterminds behind this magic were. 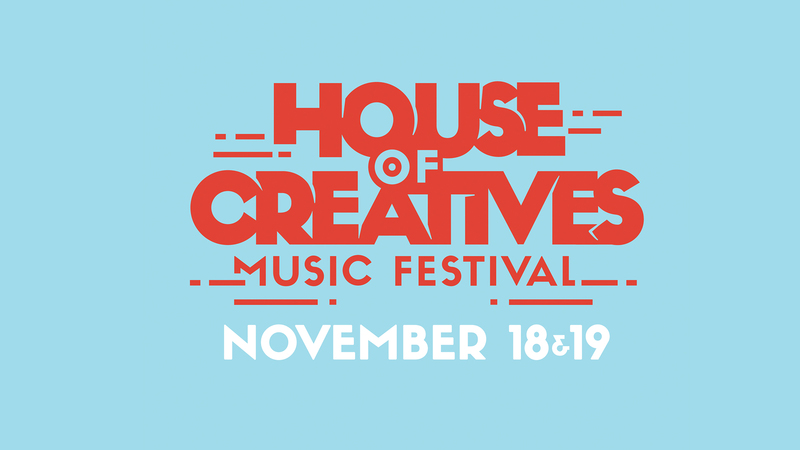 Unlike Miami's ArtBasel, (the premier art festival with their own music component) House of Creatives Festival is the first proper boutique music festival in Miami. While their focus is first the music, HoC Fest is also inviting artists to showcase alongside the jams in The Magic City this November. Presented by Mishu Music, a multi-service company featuring their own record label, original content production, and live events, we sat down with Carlos Aybar—COO, John Waltmann—Director of Marketing, Mark Simek—Director of Publicity, and Dean Taha—Booking/Creative to get a true understanding on what their multi-cultural festival, House of Creatives, is all about. That is, before we decide to hop the next plane to Miami later this month to experience it for ourselves, but we're already pretty convinced. What is it about the bands chosen to perform at the festival that will help bring the message of cultural community to life? Carlos: We have an amazing mix of international bands and local Miami artists all performing on the same stage. Most of these acts come from a grass roots background and work their craft, we are really proud of this curation. The festival brings the message of community to life through a ground-up approach to creative exploration that begins with the local community and expands to encompass top tier international artists with a similar sensibility of community. Which artist on the lineup are you most excited to see perform? Dean: The Flaming Lips - they have such a long history and deep catalog that you really don’t know what their set list will be and their live show is an absolute experience. Crystal Castles and The Drums are also at the top along with the Miami-based selection of bands highlighted by Millionyoung, Hunters of the Alps, The Moon Caravan, & Grey 8s. Miami has a rich culture of art, specifically showcased in Art Basel (happening in early December), how does the HOC festival plan to differentiate itself? Mark: HOC Fest is the first music festival of its kind in the Miami region—a tightly-curated, boutique festival extending not only to Miami’s cultural tastemakers at large but also as an answer to the incredible indie music scene that is popping off in Miami right now. HOC Festival differentiates itself in that the collaboration follows with an inside out approach where it begins local and expands to encompass a global creative community. The festival will also have a variety of gourmet food to enhance the cultural creative vibe, what are some of the must-try foods that will be there? Dean: Our food lineup will be all local and mostly “mom and pop” shops. From the staples of Wynwood to some delights from Miami Beach, there will be something for everyone. The Anderson (of Broken Shaker fame) will highlight a culinary experience where each food vendor involved serves a must-try cuisine. How would you describe your company's (Mishu Music) relationship to HoC festival? Carlos: The House of Creatives (www.thehoc.com) is the media branch of Mishu Music. It’s an ongoing project that serves as a creative platform for exclusive, niche experiences that center around collaborative performances. So this year’s HOC Festival is the evolution of years of shooting in-studio, live videos and finally bringing them to the public on a big stage. Is there a celebrity (local or not) who would make your day for showing up to the event? What are some challenges or advantages you face promoting a festival in its second year? Carlos: Awareness is the most challenging aspect any new event of this magnitude. Getting the name out there and giving fans access to these bands is both a pleasure and a challenge! Fortunately we have seen a lot of support already and getting the local bands, artists, and media is a huge part of making it happen in Miami. The HoC Festival focuses on bringing the community together, how do you think this will benefit the Miami area this year and in years to come? Mark: Miami is a rapidly changing and expanding cultural hub with a melting pot of influences creating an environment that is like none other in the U.S. The festival aims to highlight the community elements that benefit this growing city 365 days a year and we hope for it to become a not-to-be-missed event every year for those in the Miami creative community. How do you see HoC evolving next year and further down the line? John: With any venture, you want to of course see it grow, but we will also do our very best to maintain the vision and integrity of this festival by offering people niche and intimate performances with some of the world’s biggest acts. The more we can see this festival grow in regards to collaborations and artistic expression, that’s what would make us feel like we’re on the right path. The festival branding was definitely one thing (besides the awesome lineup) that caught our eye—can you tell us more about it? John: We’ve had the pleasure of working with designers from all around the world encompassing all different styles, but for this festival we sought out to choose a creative team that was based in Miami, and could tie in influences from the local scene. When deciding the final art direction, we choose the color scheme and branding we felt reflected the type of culture and music that would be found at the festival, and we couldn’t be happier with the outcome. Why should people attend HoC? John: Our goal with The House Of Creatives project has always been to provide people with an experience and environment that is completely unique and we feel like anyone that has attended one of our events over the last 5 years could tell you that. Currently, the festival is produced by a small group of very passionate people that are doing it for the love of music, art, and community, so come and find us at the festival, say hello, and let’s cheers a beer. Stream Our Exclusive HoC Playlist by Carlos, John, Mark, and Dean!